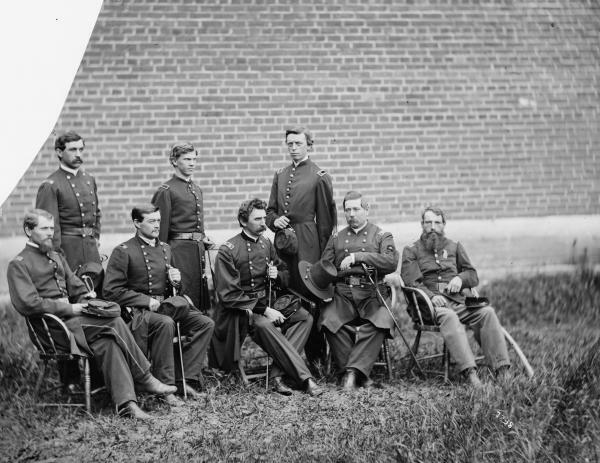 General John Hartranft, fifth from the left, with his staff, circa 1865. 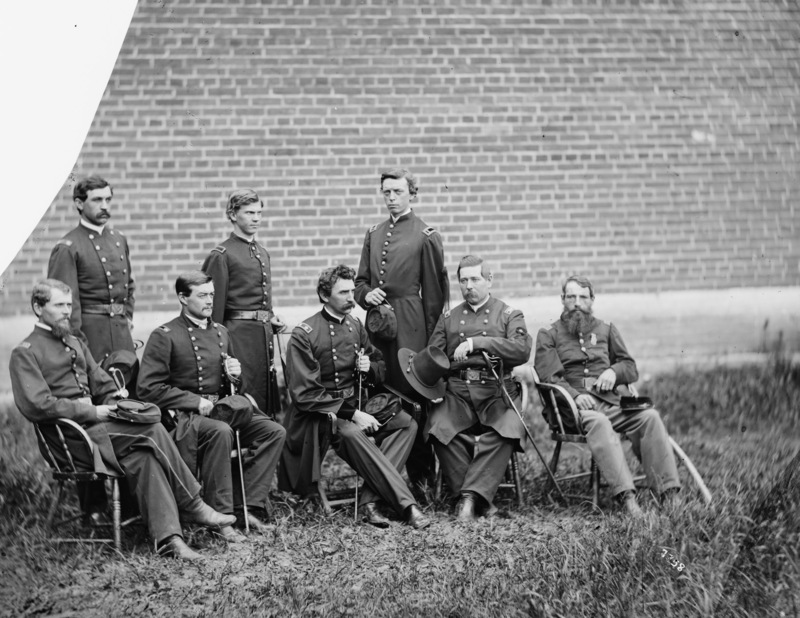 A veteran of twenty-four battles during the American Civil War, John Hartranft was promoted to brigadier general in May, 1864. On July 7, 1865, it was Hartranft, now the provost marshal of Washington Arsenal prison, who signaled the executioner to carry out the death by hanging sentence of the three men and one woman convicted of conspiring in the assassination of Abraham Lincoln.